The monsoon season often brings torn roofs and water damage to Phoenix-area homes. 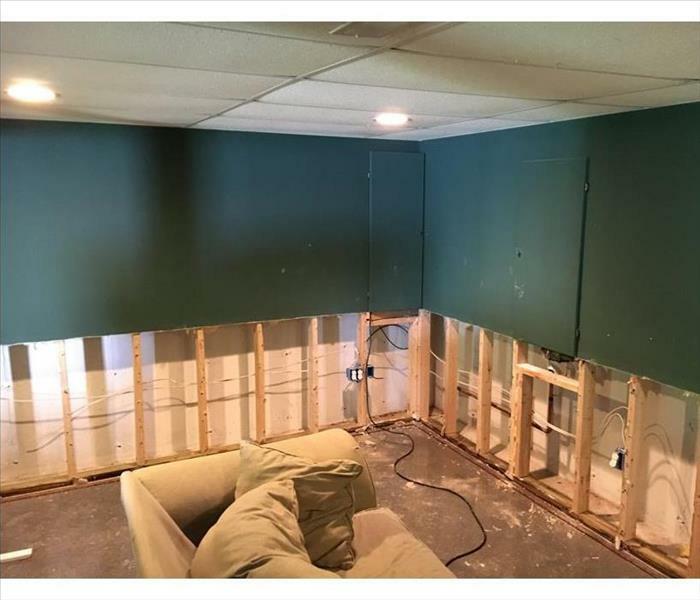 SERVPRO can arrive quickly to mitigate the damage by removing the soaked drywall and extracting excess water and moisture. Do wait with us, call for help. Water damage at this Phoenix home was widely hidden from view. It would take hi-tech equipment like infrared cameras to locate the hidden pockets of moisture that would need drying. 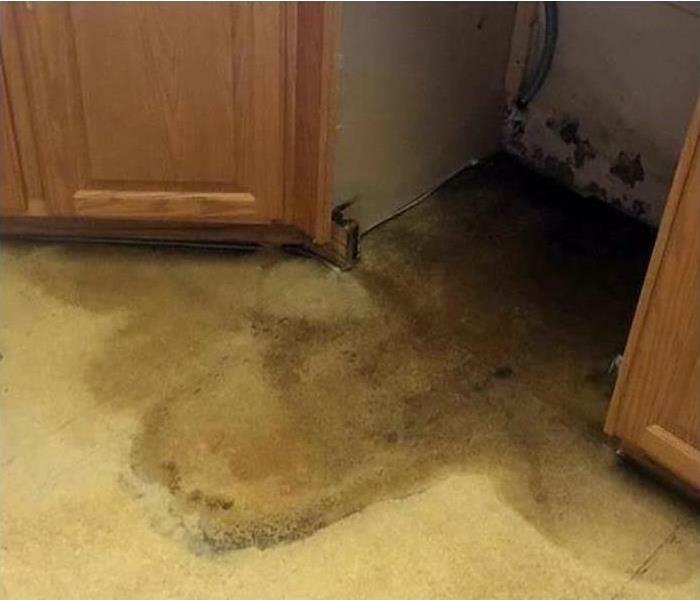 SERVPRO of East Phoenix has the latest generation of equipment to identify and restore water damage like this. When your home in Arcadia experiences a mold infestation, you need the team at SERVPRO. 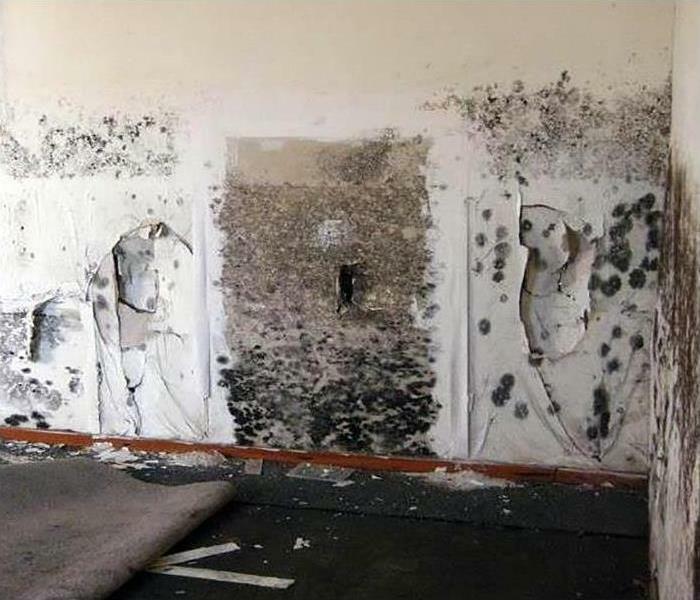 Our mold remediation specialists are the best in the industry. We are IICRC certified in mold remediation. SERVPRO of East Phoenix has the experience, training, and equipment to restore your home to pre-damage condition. 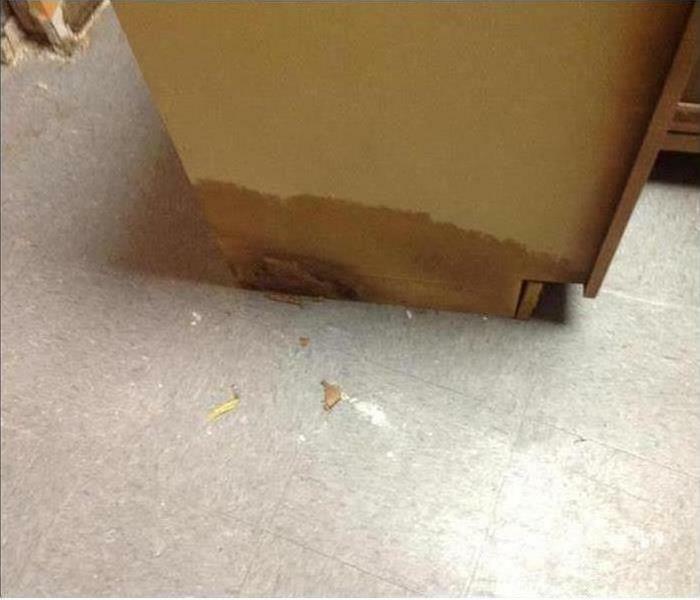 Water damage at this East Phoenix condominium spread across the flooring in the kitchen and managed to wick up into the base cabinets. Furniture in the room was also affected. 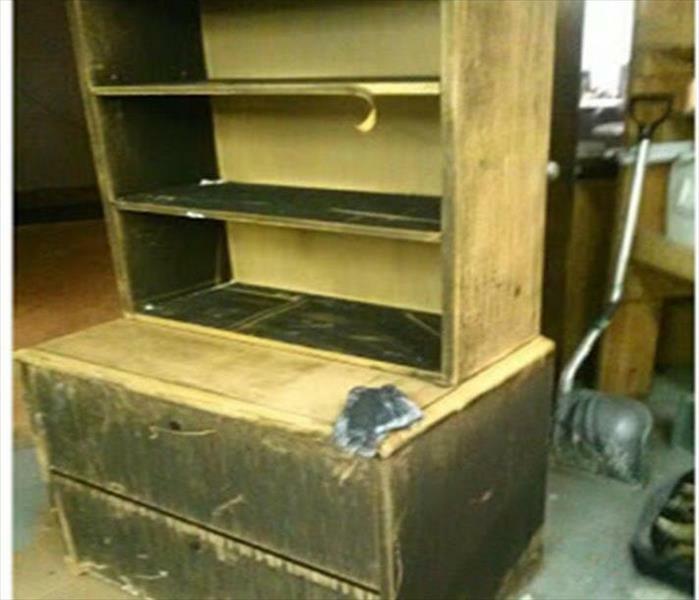 The homeowners were very concerned due to the water damage to the kitchen cabinets. They wisely decided to seek professional help. 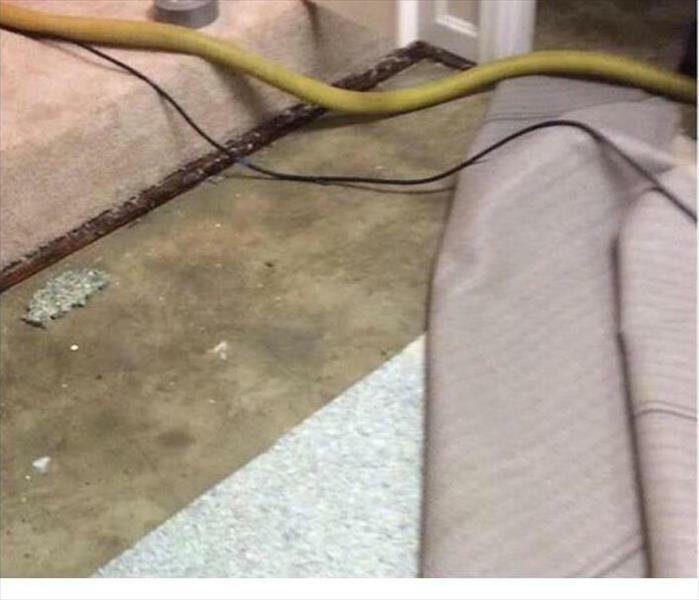 SERVPRO of East Phoenix has a long history of experience with water damage events such as this and could handle the problem from start to the completion of the job. 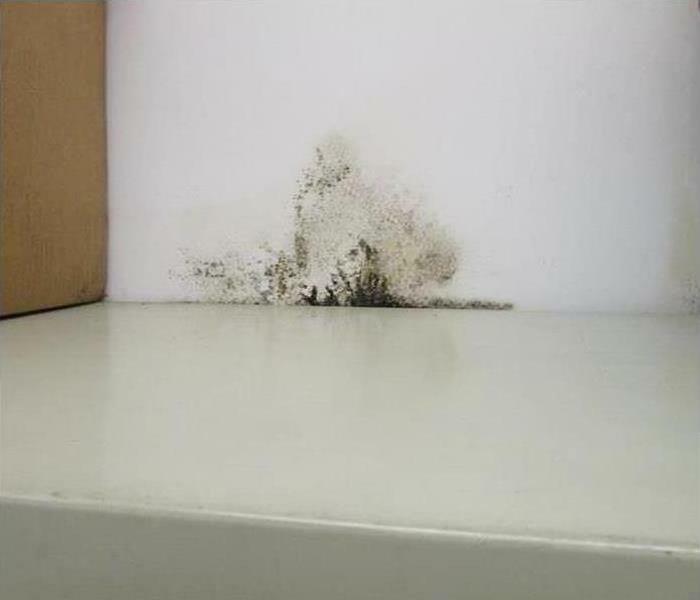 SERVPRO of East Phoenix is your best option when it comes to commercial mold damage remediation. Our highly trained experts are ready to respond 24/7 to your emergency. We have the experience and advanced equipment to restore your commercial property to pre-damage condition. Fire damage at Phoenix commercial or residential sites leaves behind noxious odors from the extinguished fire. 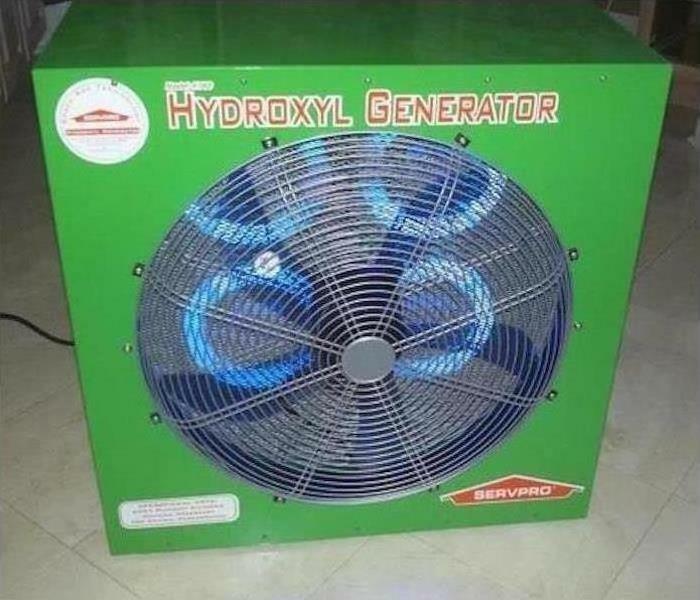 The photo shows a hydroxyl generator which is used to help reduce that telltale odor of smoke after a fire. One advantage of using the hydroxyl generator is the occupants of a home or business can remain in the facility as there is no ozone used in the operation of this equipment. This unoccupied unit in East Phoenix is in need of extensive demolition as part of the mold remediation efforts. The mold stains shown are deeply embedded with hyphae, and the drywall sheets are about to crumble. 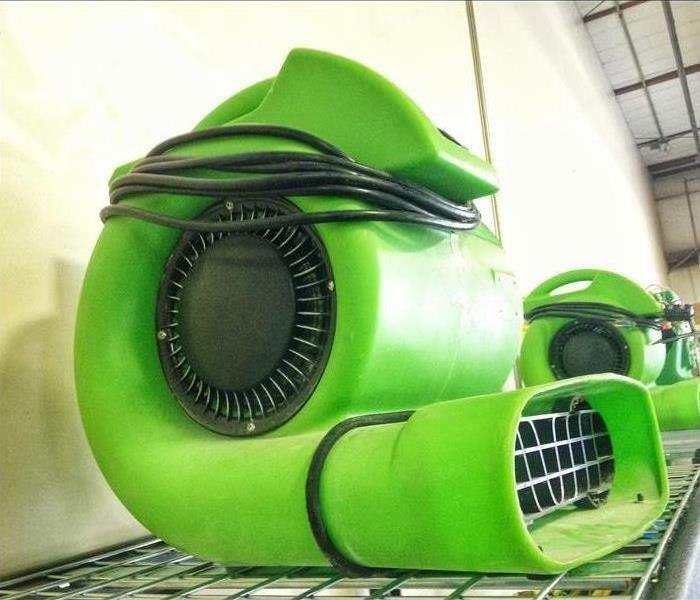 Pictured is an air scrubber, a SERVPRO HEPA filtration device to help capture airborne particulates during the impending demolition. 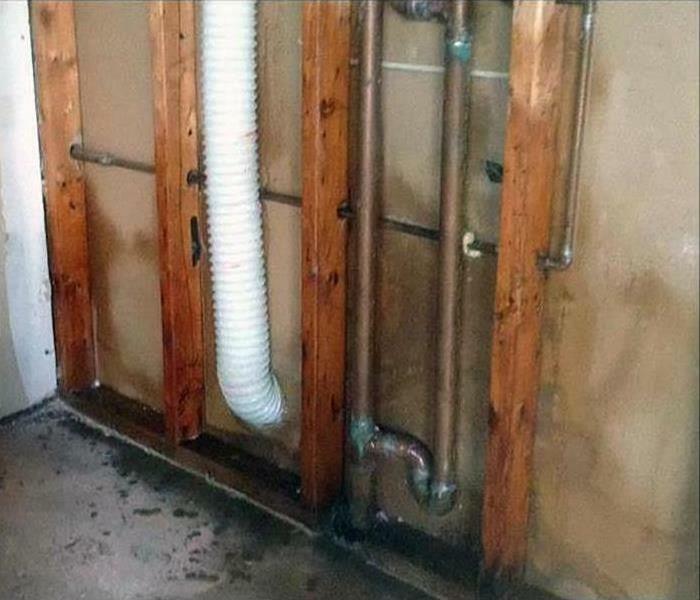 Water lines running through the attic crawlspace in Phoenix area homes can cause severe damage if they rupture. 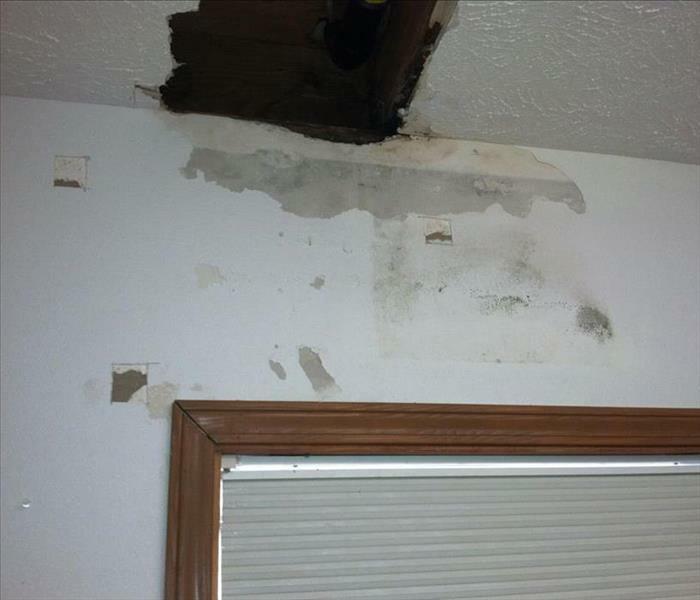 The soaked ceiling panels present a hazardous condition to the residents. 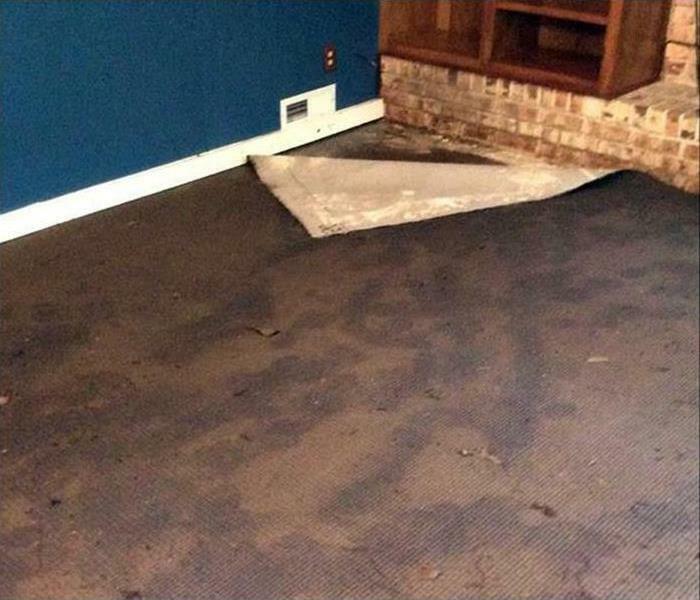 Contact SERVPRO to safely secured the water damaged area to its preloss condition. 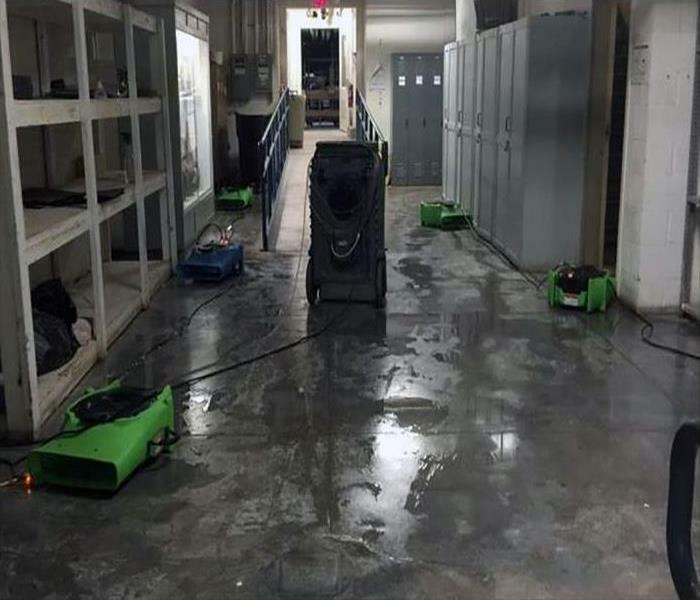 When water damage strikes your commercial property, you need the team at SERVPRO to assist you. SERVPRO of East Phoenix has the advanced training, state-of-the-art equipment, and commercial water damage experience to restore your property to pre-damage condition. We are ready 24/7, locally owned and operated, and Faster to Any Size Disaster! 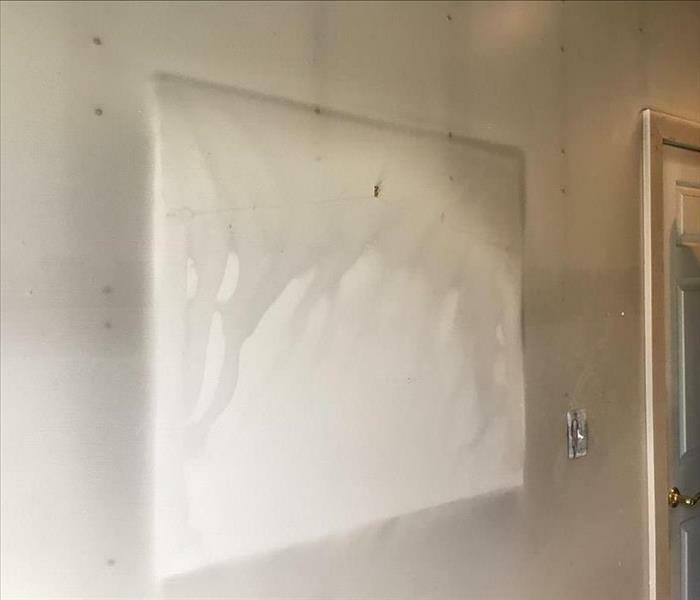 Mold damage developed in this Phoenix garage and was hidden behind a piece of furniture, so it had some time to develop and grow. The residents smelled a musty odor which led to the discovery of the mold damage. It is essential to clean up the mold properly and as quickly as possible. Mold colonies can expand very rapidly. SERVPRO of East Phoenix technicians are available 24/7 to help you with any mold problem. 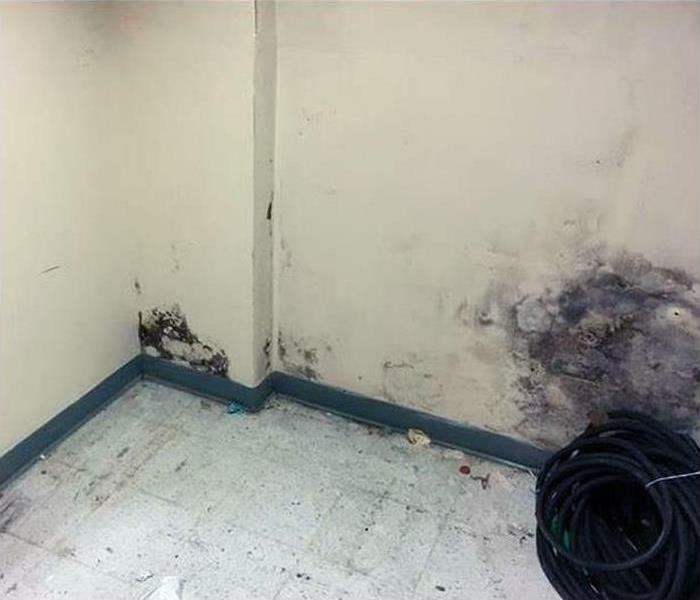 When your commercial property experiences a mold infestation, you need help from a professional restoration company like SERVPRO. Our team is ready 24/7 and will arrive at your property quickly to begin the remediation process. 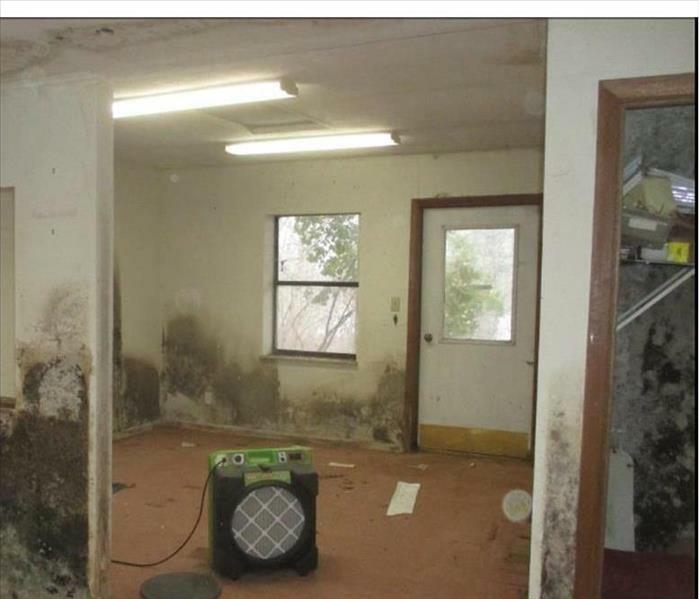 SERVPRO of East Phoenix has the experience and equipment to restore your commercial property to pre-damage condition. Often the most destructive result of a house fire in Phoenix is the smoke coating and the odor permeating throughout the structure. SERVPRO has all the equipment necessary to grapple with the worst fears of the homeowners and make them feel "Like it never even happened." 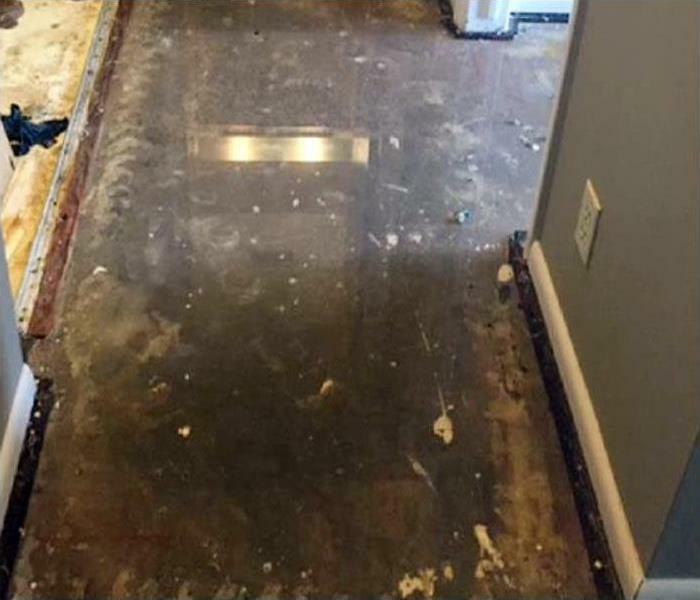 Water damage in this Phoenix home’s kitchen was caused by a faulty dishwasher. The homeowners would need the services of a water damage restoration company before they could replace the old dishwasher with a new one. 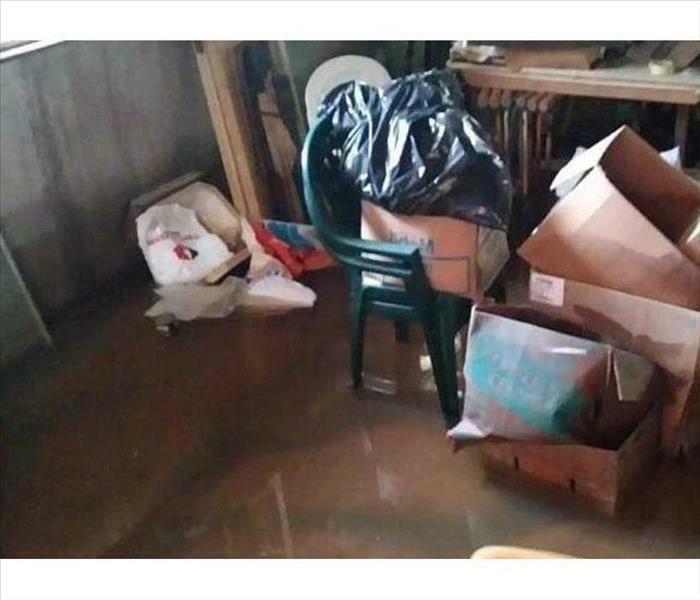 SERVPRO of East Phoenix would be a good choice to take care of their water damage problem. Flash floods can dump high volumes of water in East Phoenix basements. The contaminated black stormwater meant the carpeting, and the lower four feet of the gypsum board had to be discarded. This "flood cut" is standard operating procedure. Now air movers and dehumidifiers can dry out the surfaces. 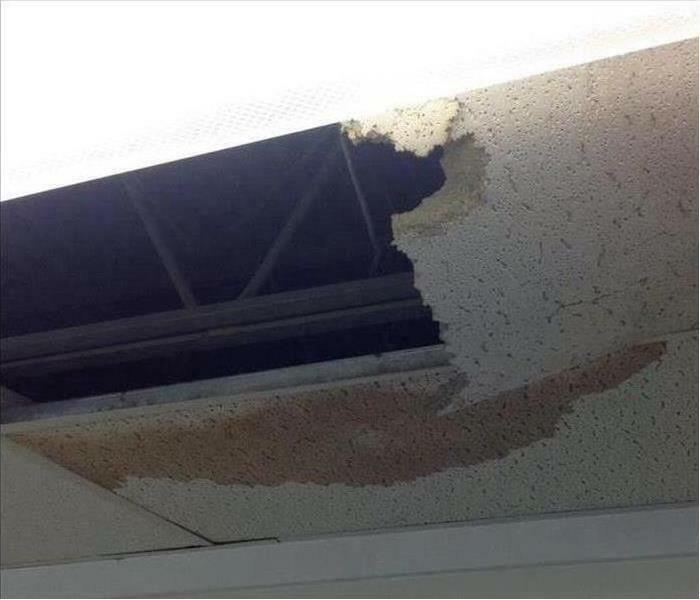 Commercial water damage occurred at this Phoenix office when a pipe running above the drop ceiling burst. 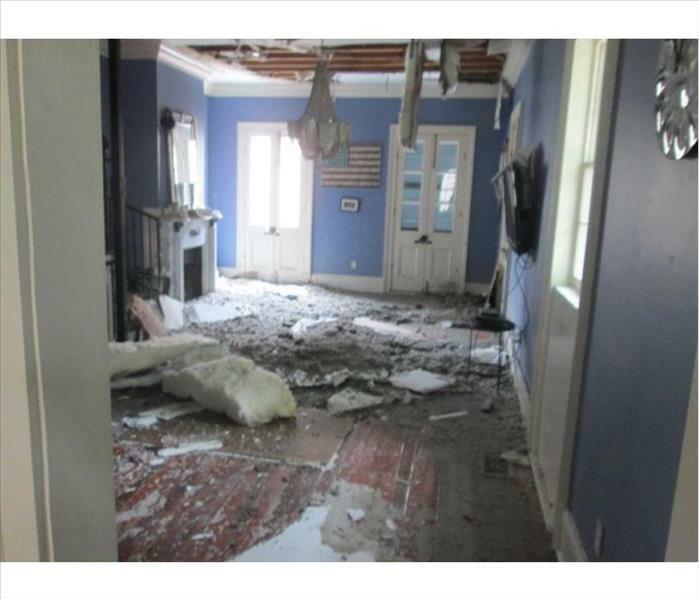 The damage started over a weekend, so a lot of water was deposited onto the drop ceiling causing it to collapse to the floor below. SERVPRO of East Phoenix could respond to this emergency 24/7. We would remove the debris and suction up any standing water. Then we would repair whatever the water had damaged. 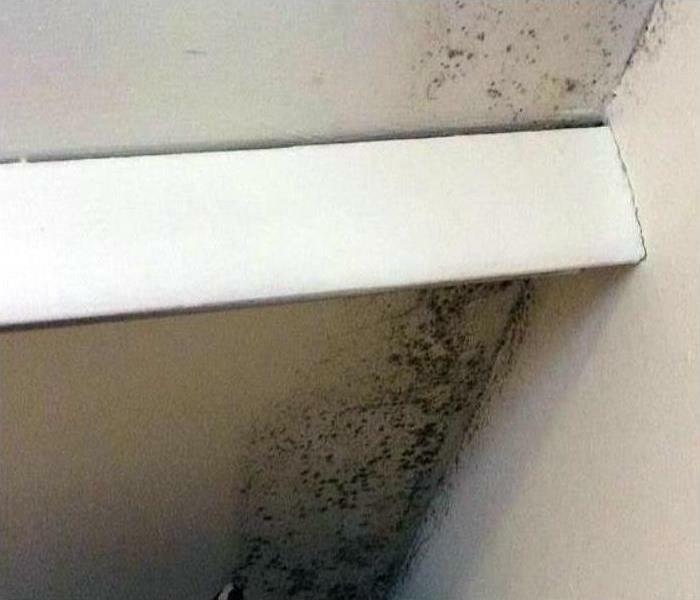 Mold can be a pain, but our team is ready and available 24/7 to assist you. 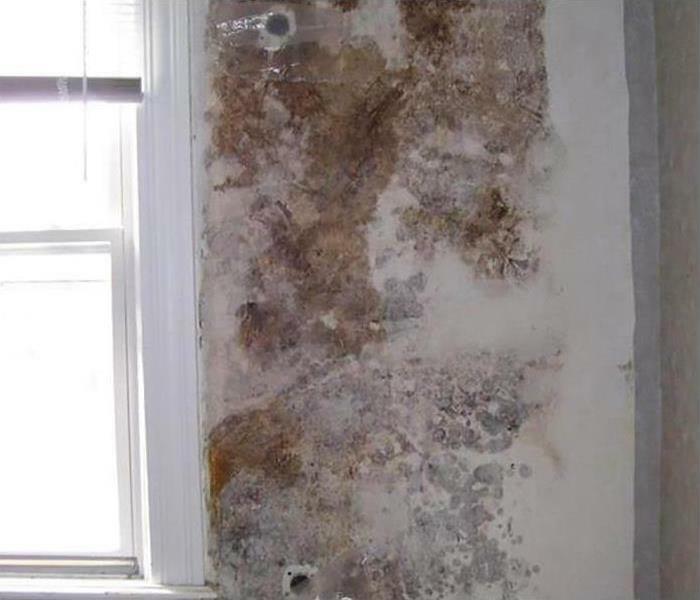 Our mold remediation experts have the state-of-the-art equipment, training, and mold damage experience to restore your home to pre-damage condition. SERVPRO of East Phoenix is Faster to Any Size Disaster! Storm damage cleanup should be left to a professional restoration company like SERVPRO. Our team is available 24/7, and we are locally owned and operated. We have the equipment, storm damage experience, training, and IICRC certifications required to return your home to pre-damage condition. SERVPRO of East Phoenix is Faster to Any Size Disaster! 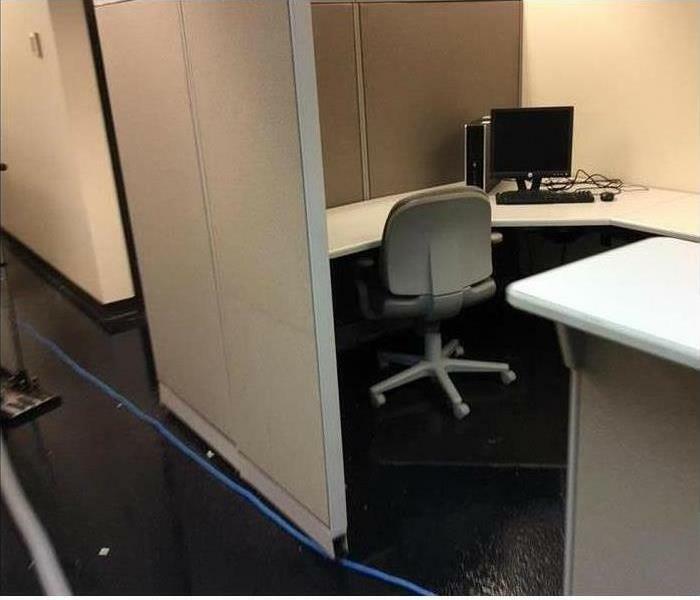 Commercial water damage struck this Phoenix office when a water pipe burst. Several cubicles were soaked. 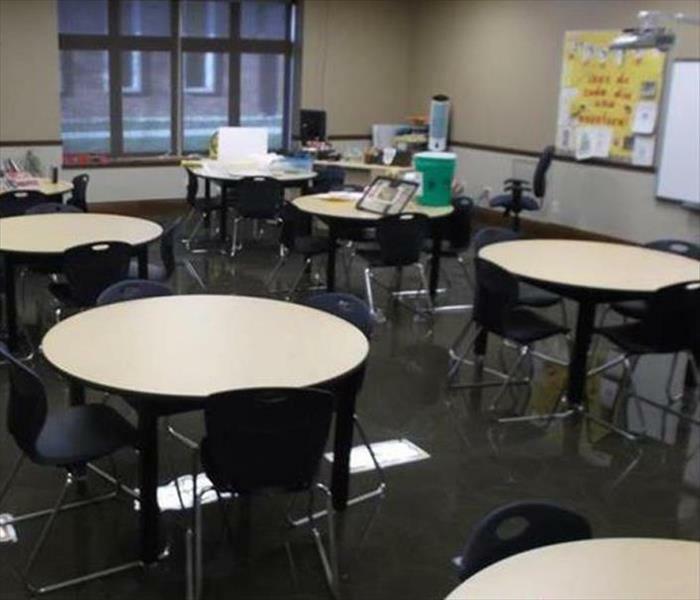 The equipment and furnishings needed drying, and the carpeting needed to be suctioned quickly before any lasting damage developed. The management quickly sought professional help. 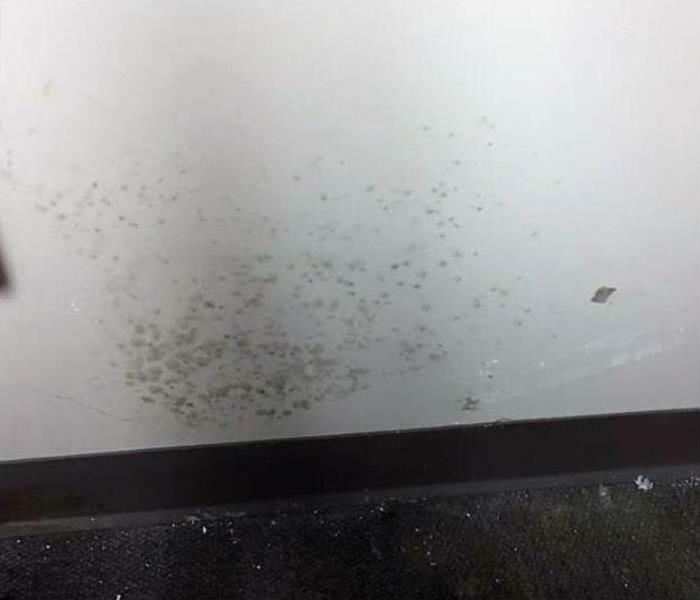 SERVPRO of East Phoenix has a great deal of experience mitigating water damage such as this. Our crews are ready to be dispatched 24/7. 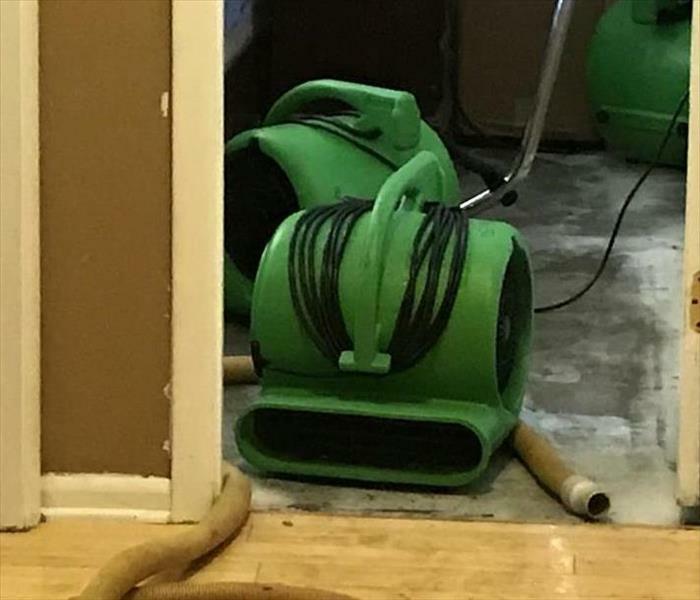 After waters have been vacuumed out of a Phoenix home post-storm, SERVPRO uses air movers and dehumidifiers to capture the remaining moisture which can lead to secondary water and storm damage. We're Faster To Any Size Disaster. Fire damage at this Phoenix condo began on the stovetop. The fire was a grease fire, and grease fires burn very hotly creating a tremendous amount of soot and smoke damage. 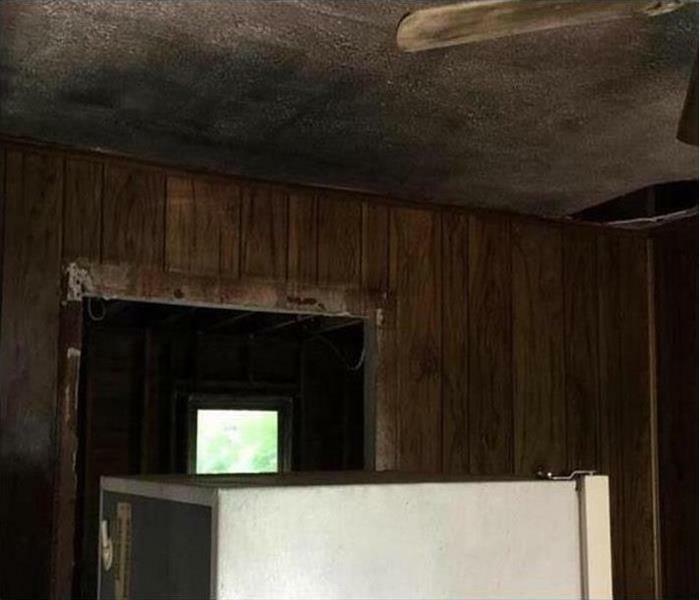 The photo clearly shows how much soot and smoke covered the ceiling. SERVPRO of East Phoenix has specially trained and certified technicians on staff to help remediate any soot and smoke damage. By quickly removing the carpet from the tack strip the wet concrete pad can be treated for drying in this East Phoenix home. SERVPRO understands that fast action not only dries the carpet without physical delamination but also can prevent water stains of the fibers. Groundwater of flash flooding nature can ruin possessions and transport contaminants into an East Phoenix structure. A wise choice is to select SERVPRO to safely extract the water while moving items to mitigate storm damage. Commercial water damage in Phoenix often requires a large inventory of water extraction and drying equipment. SERVPRO of East Phoenix is well equipped with a substantial inventory of commercial water extraction equipment, industrial strength air movers, and state of the art dehumidification equipment. Water damage restoration in Phoenix involves cleaning up the water and then drying the surfaces and the humidity from the air. 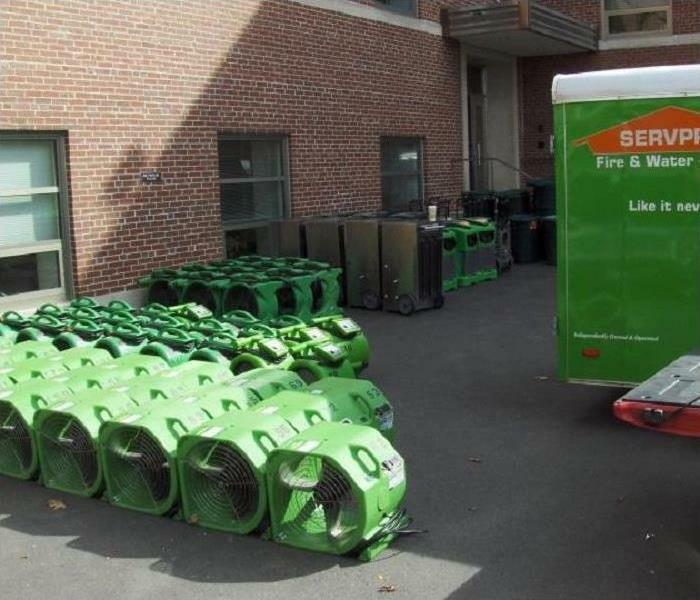 Pictured is one of SERVPRO’s commercial air movers which helps to dry the water damaged surfaces during the restoration project. 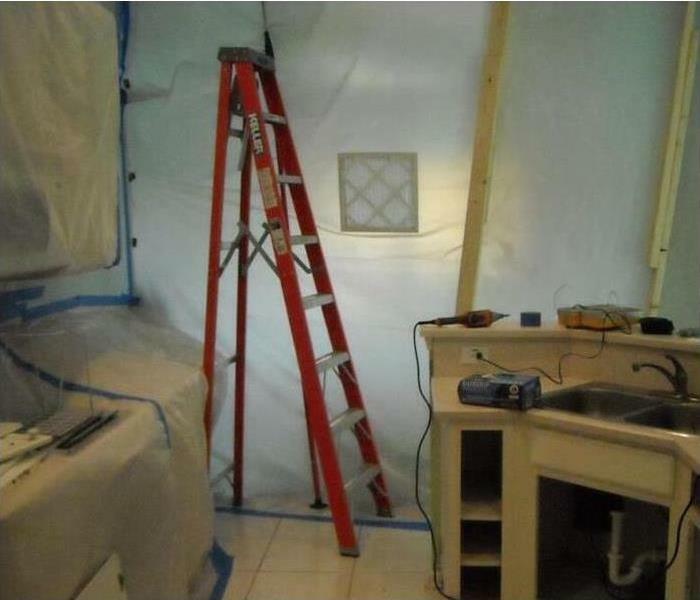 Mold damage remediation at this East Phoenix home involved the construction of a containment area prior to starting our work. The reason for a containment area is to prevent mold spores from traveling throughout the residence while the mold damage is being cleaned up and treated. The fire started from the pressure washer contact with oily rags ravaged damage on this East Phoenix garage. 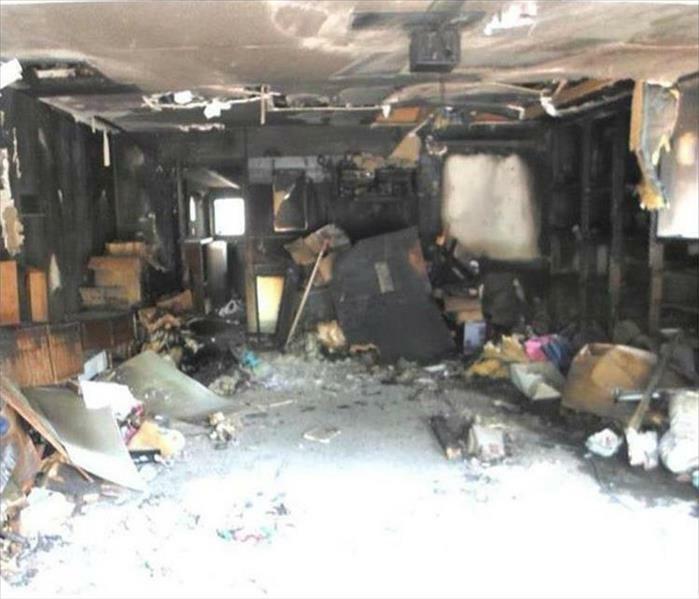 The fire damaged materials were cleaned up by our SERVPRO FST technicians before the restoration and rebuild work could begin. Storm Damage in Phoenix can sometimes come in very large quantities requiring industrial sized equipment that is able to handle the size of the disaster. 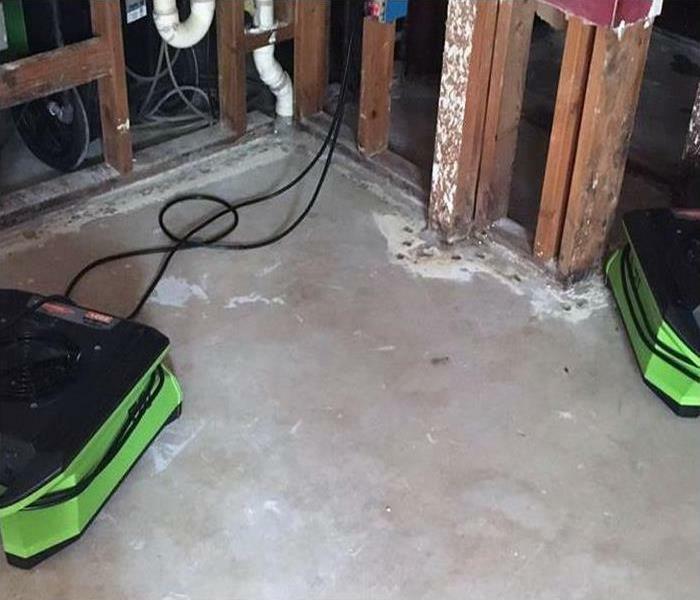 SERVPRO of East Phoenix is equipped with the latest large loss water damage equipment available. 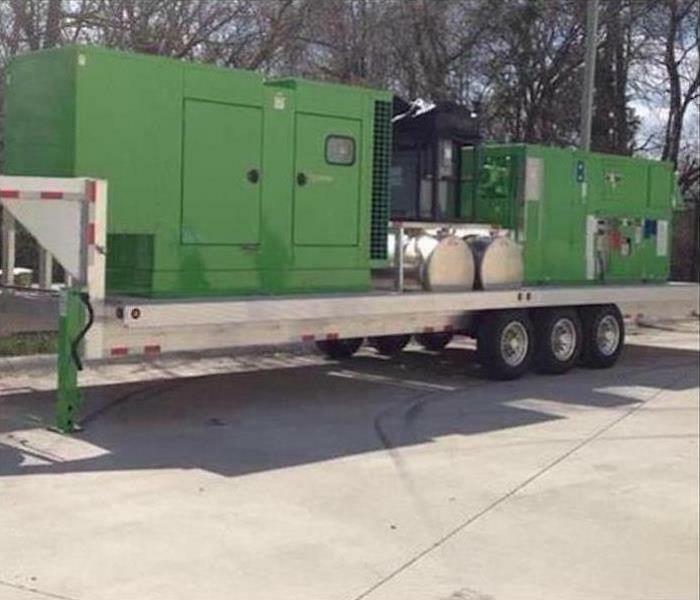 Shown here is a trailer mounted desiccant dehumidifier. 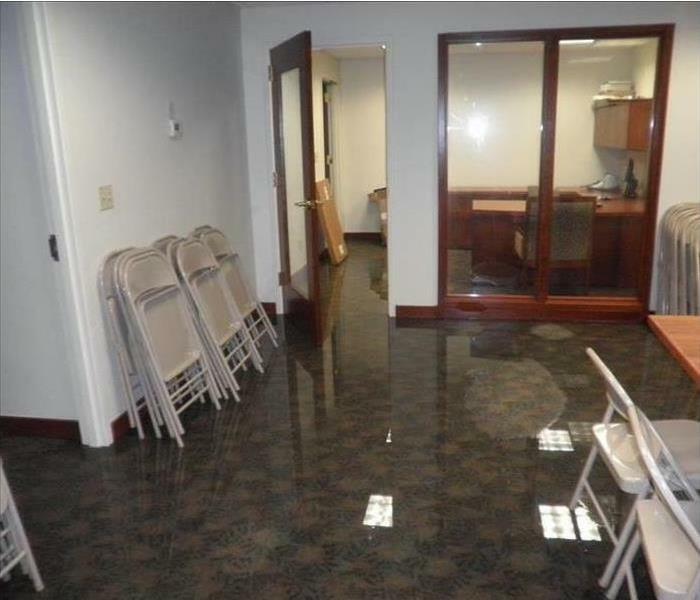 The backed up water from a broken water supply line flooded the commercial carpet in this East Phoenix office suite. Extracting the water with wet-vacs and then a riding "Rover" was the first step. This rapid removal of the moisture prevented on-going damage to the building materials and furnishings. 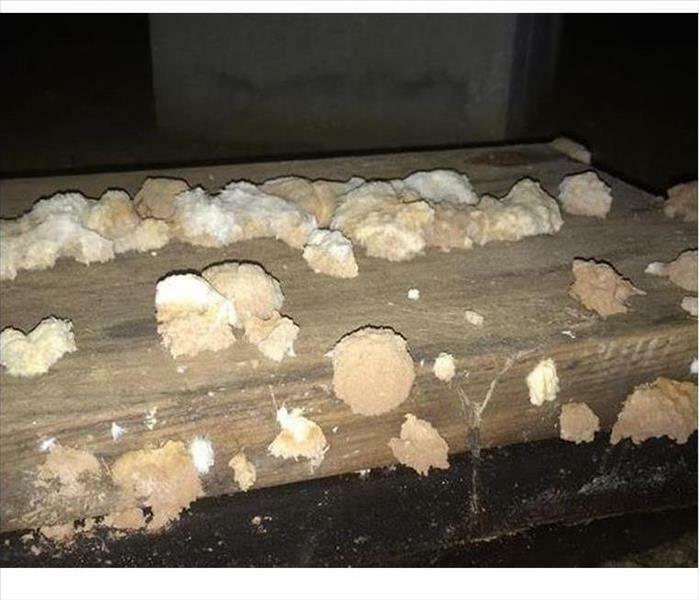 The fungi growth can weaken and eventually rot out this large support beam in a Phoenix crawlspace home. SERVPRO technicians can scrape off this mold while containing this area with barriers to prevent the migration of spores to other areas of the house. Antimicrobial spraying can help to inhibit future mold proliferations. The fire spread a film of smoke in this East Phoenix home. Wiping down the walls and ceilings with dry sponges can produce a satisfactory result. The popped out nail heads caused by the heat can be banged in, the holes spackled, sanded, primed, and finish coated. 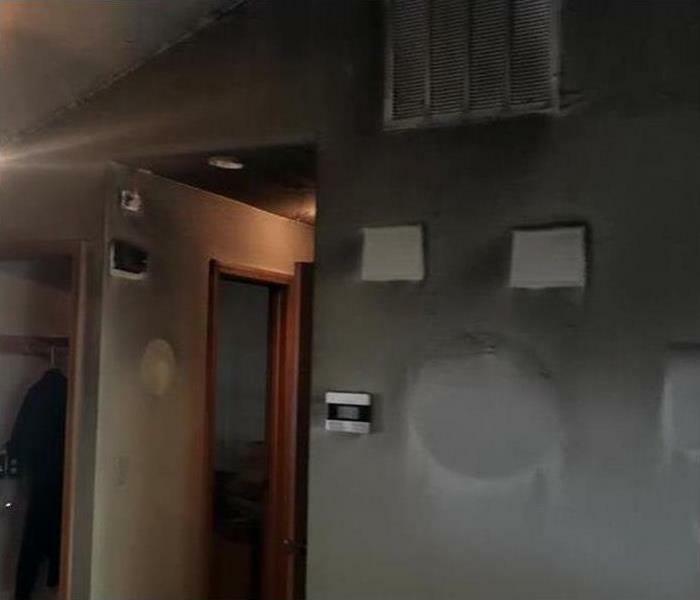 SERVPRO technicians can help in many different aspects of fire and smoke damage. 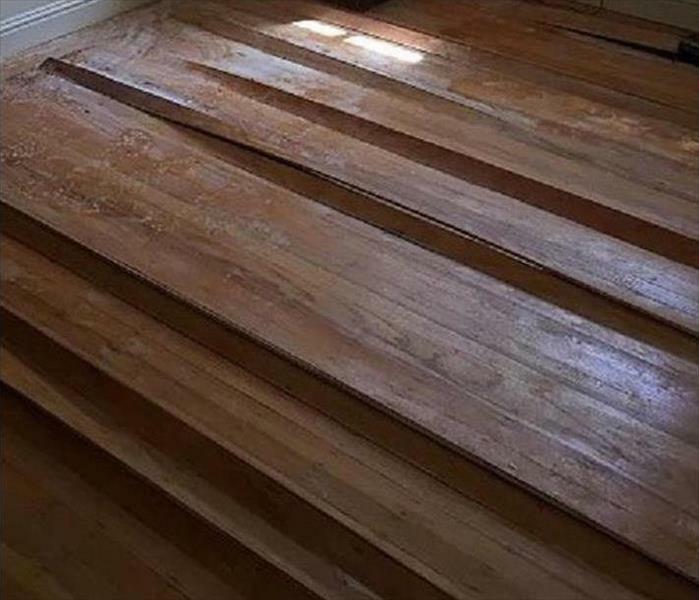 Standing water, in a vacant house in East Phoenix, resulted in warping and cupping to this oak flooring. Many of the slats were removed to allow for drying of the crawl space floor joists and also the planks themselves. After some days of drying, most of the planks were salvageable for reinstallation. Fast service, we always try to restore rather than replace saving the homeowner money.